Bitcoin Casinos are an excellent alternative to the "old-school" online casinos. 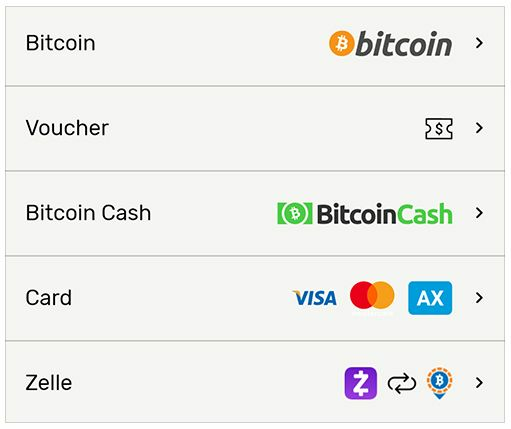 You can gamble at these websites from anywhere in the world, because Bitcoin is an open-source currency that you can use without the need for a bank. The actual casino websites tend to be faster and easier to use too (e.g. simple account creation), so I'd recommend having a look. If you've got bitcoins, these online casinos are by far the best option. It's a list of online casinos that offer real money roulette games and accept US players. I check out the landscape of US-friendly casinos every now and then, and add/remove casinos as I find out about any updates. To make your life easier, I note the month of the latest update below the table. How fun the casino games are to play. How much I trust the company. It's not an exact science, but I like to think the rating might help to point you in the right direction. If you've got the time, it's worth checking out a handful of different US casinos (they almost always offer "fun money" accounts) and sticking with the one you like the best. Whilst I might hate the graphics and ball physics at one casino, you may love the unique way the ball bobbles around its virtual wheel. When you're playing roulette online you're paying for entertainment, so make sure you choose the casino that gives you the most satisfaction. You probably also want to go for one that's quick at processing deposits and withdrawals. I'm not actually a lawyer. Nonetheless, I have been hanging around online casinos for over 7 years and kept myself up to date with the industry's progression along the way. It's hardly an award-winning résumé, but it allows me to think I know more about gambling online than the average person. No US citizen has ever been prosecuted for gambling online (as of 2013). There is no federal law against gambling online. It's against federal law for banks to handle online gaming transactions. For a more in-depth explanation of these points, check out this lovely article: Is online gambling legal in the U.S.? So basically, you're not doing anything wrong by playing casino games online, winning money, withdrawing it and re-investing it in the US economy through the purchase of beer and pizza. It's only the banks that have the problem, which is why not all casinos accept US players due to payment processing hurdles. If anyone's going to get in to trouble, it's a bank or a payment processor - not you. Why don't all casinos accept us players? As mentioned, there are laws against US banks processing gambling transactions. This can make it difficult and/or expensive for an online casino to process US players's deposits and withdrawals. Therefore a number of smaller casinos prefer to keep their operation simple and opt out of US payment processing. This is not to say that every USA-facing casino is an "Honest Bob's Totally Legit and Trustworthy Online Casino Operation". It's just that some casinos feel competent enough to cater to US citizens, whereas other would prefer not to. As a rule of thumb, if you don't like the look of an online casino's website, don't sign up. 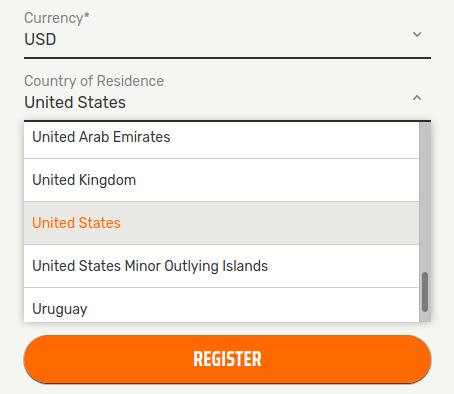 Is it really okay to gamble online in the US? Still got that nagging feeling? You're probably getting all your negative opinions about gambling online from friends and relatives, but how much do they actually know? Most people just enjoy voicing strong opinions, irrespective of the amount of research they put in to it. For example, a friendly relative of mine enjoys telling me that investing in the stock market is gambling. He has never bought shares, yet he still feels qualified enough to dish out this pearl of wisdom. Its more satisfying to give an opinion than it is to actually research something. The same applies to the legality of online gambling. http://vegasclick.com/online/legal.html - A fantastic, well laid-out summary. http://en.wikipedia.org/wiki/Online_gambling#United_States - As always, a wikipedia link. http://rose.casinocitytimes.com/archives/ - If you're seriously interested in gambling and the law, here's a hub of articles by I. Nelson Rose. This guy is a master on the subject. Feel free to listen to your buddies, but it's always nice to get a few educated opinions for the sake of balance. There's no doubt that online gambling a grey area, but it's a light shade of grey. It's not so much that online gambling is outright illegal, but more that there's not enough clarity on the matter. I think clarity will come before any prosecuting takes place, so I wouldn't fear anything unexpected. But again, that's my opinion. I'd play online casino games as a US citizen, and that's me. If I were you, I'd start to worry when all casinos stop accepting US players, but when that happens you won't have the opportunity to do anything illegal anyway. Deposit using your credit card. If that doesn't work, try one of the other options. Don't worry, if your credit card deposit doesn't work your money will just be refunded. After that, your best bet is to use one of the alternative method of payments, all of which are probably new to you but still relatively straightforward. Credit Card is clearly the easiest (and most popular) option, but it doesn't work 100% of the time. I'm not sure what the percentage is; I just know it's high but not quite 100%. Still, worth a shot. An screenshot of the deposit options available in the cashier at Casino Titan. Further information about making a deposit using a credit card. This is the section of the article where I absolve myself of any responsibility, even after I've clearly pointed you in one direction. I'm the worst kind of person, I know. Personally, yes I would gamble online as a citizen of the USA. But that's me and you're not me, plus I'm from the UK. If you've done your own research, and the thought of making a deposit and placing a $10 bet on the spin of a virtual roulette wheel makes you feel uncomfortable - then you've got your answer. As much as it's recommended to live just outside of your comfort zone, on this particular matter (you know, the law and stuff) it's wise to stay within the confines of it. I hope this article makes you feel more comfortable in your decision. I'm guessing you had a plan of action in mind before you even got here though. Good luck and have fun.